Buffalo Stampede – The Course SkyRun (20km) – 2017 | JustRunLah! 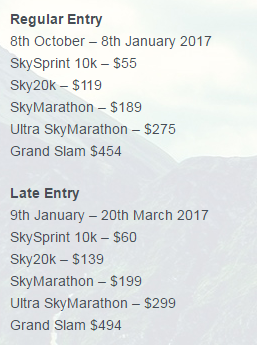 The Buffalo Stampede SkyRun is a 20k event which takes runners on a tough 20km challenge taking in the out and back section of the SkyMarathon and Ultra SkyMarathon course from Bright to Clearspot Aid station and return. 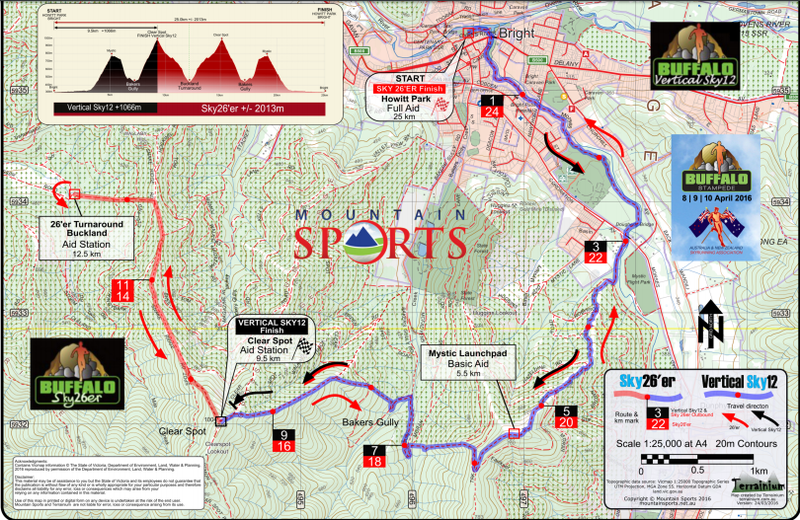 The course starts in Bright at Howitt Park and makes its way along Morses Creek for 3km of flat running before a steep sharp rise 700m up to the summit of Mystic Hill. The course then descends the challenging Mick’s Track and then pits runner against one of the steeped trails around and runners make their way up to the summit Clearspot. Runners then return the same way they came to a loud finish on the banks of the Ovens River in Bright.